We will not devalue. 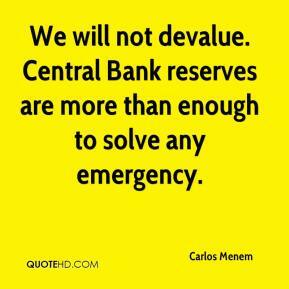 Central Bank reserves are more than enough to solve any emergency. 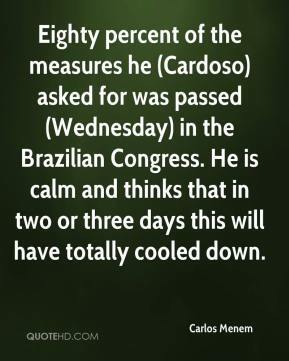 Eighty percent of the measures he (Cardoso) asked for was passed (Wednesday) in the Brazilian Congress. He is calm and thinks that in two or three days this will have totally cooled down. 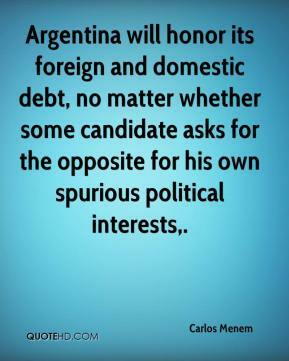 Argentina will honor its foreign and domestic debt, no matter whether some candidate asks for the opposite for his own spurious political interests. 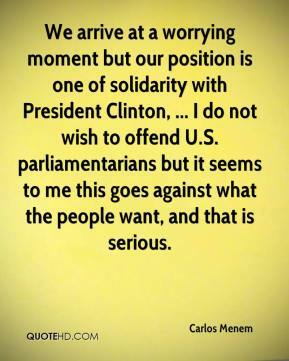 We arrive at a worrying moment but our position is one of solidarity with President Clinton, ... I do not wish to offend U.S. parliamentarians but it seems to me this goes against what the people want, and that is serious. Here we are. 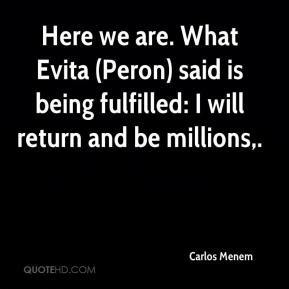 What Evita (Peron) said is being fulfilled: I will return and be millions. 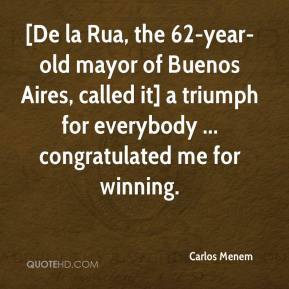 [De la Rua, the 62-year-old mayor of Buenos Aires, called it] a triumph for everybody ... congratulated me for winning. 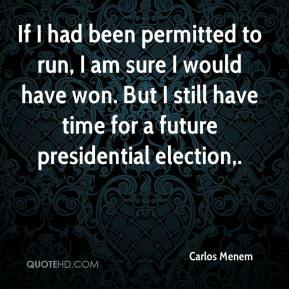 If I had been permitted to run, I am sure I would have won. But I still have time for a future presidential election. 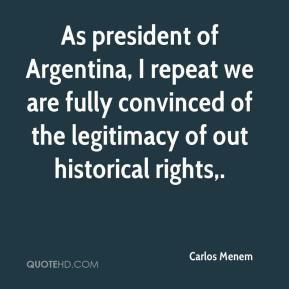 As president of Argentina, I repeat we are fully convinced of the legitimacy of out historical rights. 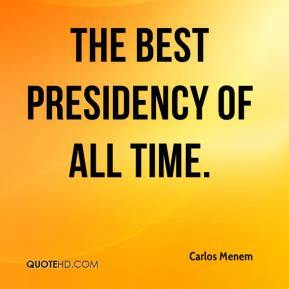 the best presidency of all time.